Two restaurants prove that quality of popular Chinese dish depends on freshness of prawns. 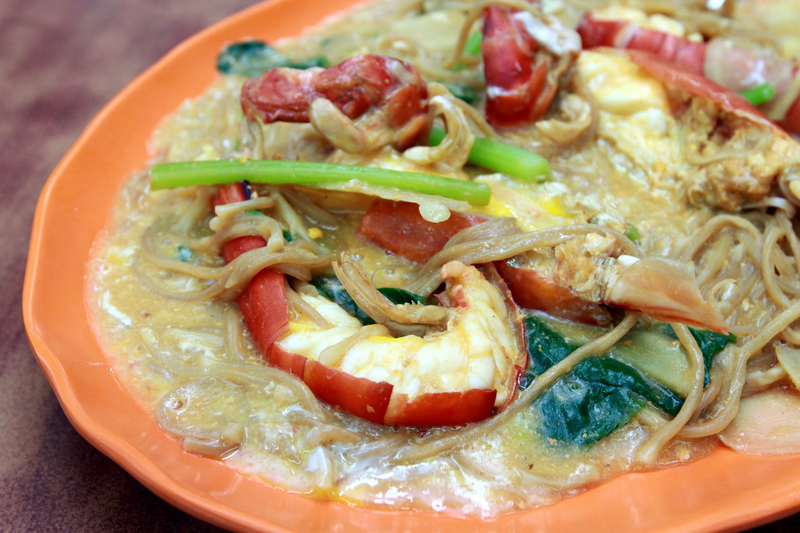 THE sang har mee, or freshwater prawn noodles, is not a dish for the weak at heart. It is traditionally a combination of crispy noodles, firm yet succulent freshwater prawns, and gravy richly flavoured by egg and roe. The freshwater prawns come complete with creamy roe in the prawns’ heads. 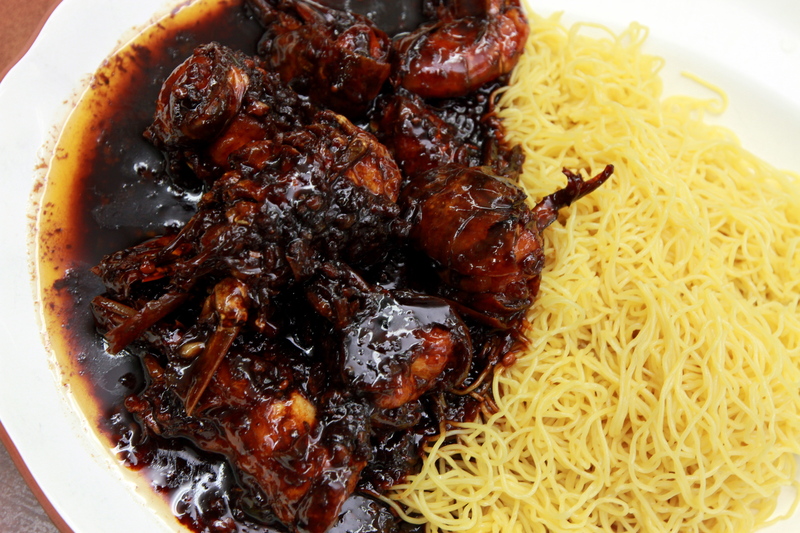 A quick search online would reveal several restaurants in the Klang Valley that are well known for their sang har mee. StarMetro checked out a couple of these establishments and spoke to their proprietors about this popular Chinese delicacy. 20, Jalan SS14/2, Subang Jaya. Business hours: 11am-2.30pm; 6pm-9pm (Wed-Mon). Closed on Tuesdays. 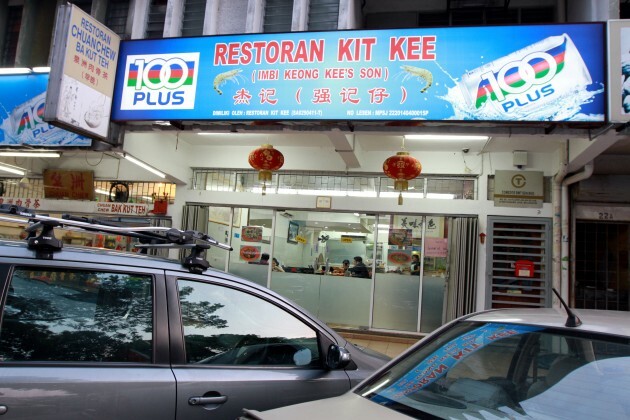 Restoran Kit Kee is a second-generation business that serves as a continuation of Wong Chuan Kiat’s family’s culinary legacy. The sign of the shop located in SS14, Subang Jaya, proudly declares that it belongs to “Imbi Keong Kee’s Son”. Wong said he opened the restaurant after his father Wong Kim Hoy, better known as Ah Keong, decided to retire and hand over his three-decade-old business. “It took me more than three years to master the basics of cooking sang har mee. Even then, regulars were able to tell the difference between my father’s cooking and mine! “We have a good mix of regulars who come here after the old shop in Imbi was closed, and new customers who are unfamiliar with our specialities,” said the 31-year-old. The menu at Kit Kee, which opened in March this year, has also been expanded to offer diners a wider variety of dishes. The sang har mee is available in two versions — with the creamy egg-based gravy or dry method similar to wan tan mee, called har lok mee. The group that I dined with agreed that Kit Kee’s standout dishes were the har lok mee and beef hor fun. Restoran Kit Kee’s creamy egg-based gravy Sang Har Mee. Wong declined to reveal the ingredients that went into cooking the har lok mee, and only said that chilli oil was not used to make the spicy dish served with springy noodles. “The har lok mee was my father’s own creation. Regulars have told us that there is no other dish like this in town, which is why they are willing to come here to enjoy it,” he said. “My father taught me that the prawns in the sang har mee and har lok mee must be fresh, and the beef for the beef hor fun must be tender. The Har Lok Mee is unique to Restoran Kit Kee. For side dishes, Kit Kee offers crispy cuttlefish fried with salt and pepper, home style bean curd, stewed beef brisket, prawn roll with century egg and dong po rou (braised pork belly). Wong said the restaurant has already seen up to three generations of customers dining at its premises, with some coming from as far as Sungai Long, Kajang, to enjoy the food. The sang har mee is priced at RM60 (small) and RM90 (large), while the har lok meeis priced at RM70 (small) and RM100 (large). Medan Batu Caves, Batu Caves, Selangor. 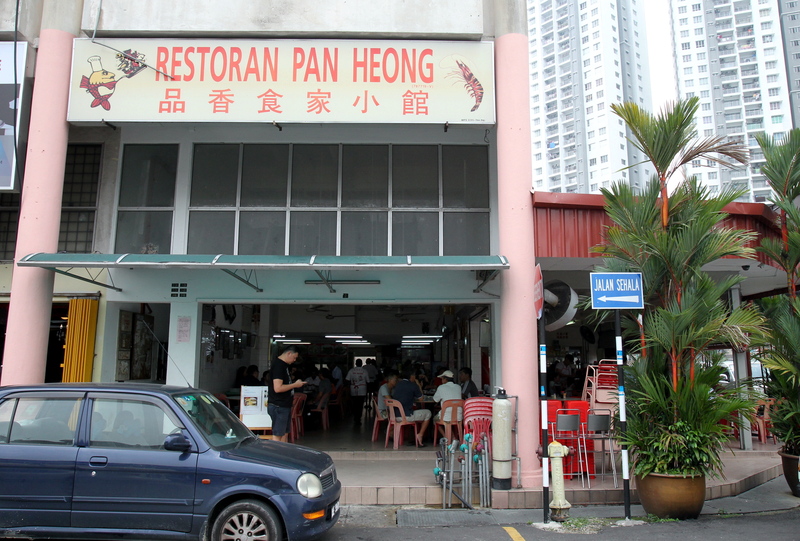 Owner and chef Tnah Boon Chong said that Restoran Pan Heong started off as a makeshift stall under a tree, before moving nearer to its present premises at a corner shoplot in Medan Batu Caves in 1993. Tnah, who has been running his business for 26 years, continues to personally cook the sang har dishes himself and supervise the cooking of other dishes. The 50-year-old said his hands-on involvement ensures the quality of the dishes and allows him to continue his passion for cooking. Restoran Pan Heong located at Medan Batu Caves. “The sang har dishes at Pan Heong are our own specialities that are not available anywhere else. Pan Heong’s sang har dishes are available in four cooking styles: steamed, served in porridge, hor fun Cantonese style and lor mee. A minimum order of the noodles comes with two large prawns. 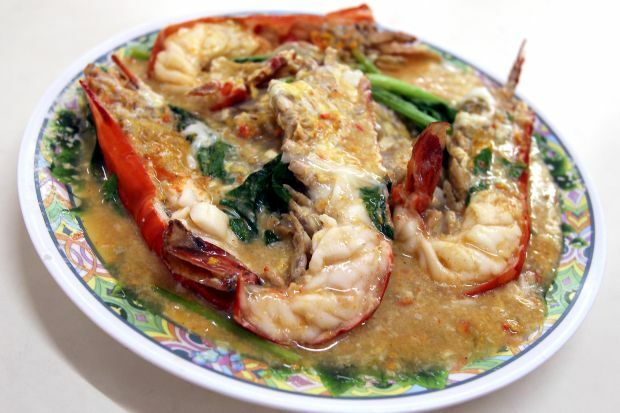 “The freshwater prawns are sourced from Indonesia, India and Sabah,” said Tnah. The restaurant’s other speciality is its porridge. Restoran Pan Heong’s Pork Rib and Fish Porridge. Diners can choose from a variety of meat such as fish (haruan, kurau, pomfret or garoupa), pork rib, chicken and abalone to go with the smooth and flavourful porridge. Tnah also recommended the fried pork and pork mee hoon, the latter featuring noodles with stewed pork. Also available at Pan Heong are sweet sour slipper lobster, dried chilli slipper lobster, butter garlic prawns, chicken feet mushroom, steamed giant garoupa, steamed tilapia with chilli sauce, fu chok roll, four-coloured roll and fried nam yu chicken. The restaurant is almost always packed, hence it is unable to take bookings for tables. Tnah credited the restaurant’s popularity to word-of-mouth recommendations. Customers are also notified that the restaurant is unable to seat incomplete groups during peak hours. A glance at its wall of fame offers a glimpse of Pan Heong’s more famous diners — politicians, athletes, corporate bigwigs and other personalities. The sang har hor fun (top pic) is priced between RM60 and RM76 (for two prawns). Prices for the porridge vary according to the ingredients and portions. 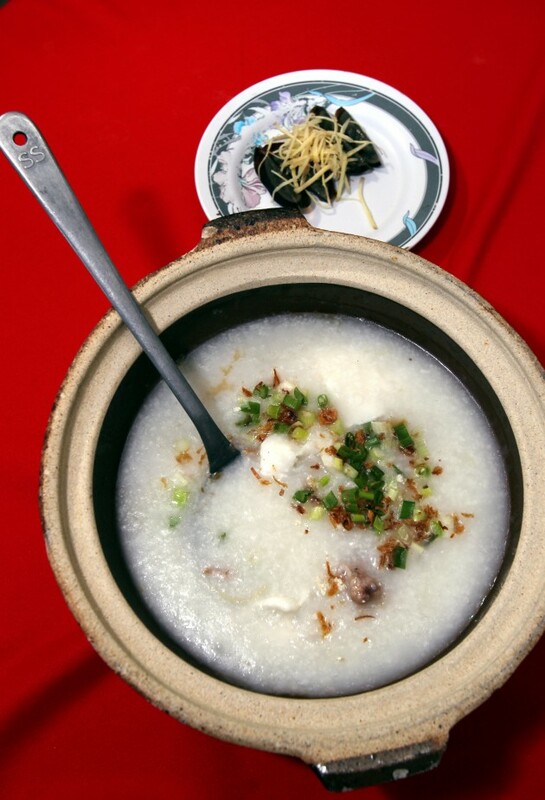 The pork rib and fish porridge is priced between RM8 and RM25 (available in five portions).